Clear Choice Technical Services is a trusted distributor of the most popular brands of copier and printers in the market today. Not only do we supply top brand machines and equipment, but we also offer premium supplies and consumables direct from their manufacturer’s factories. 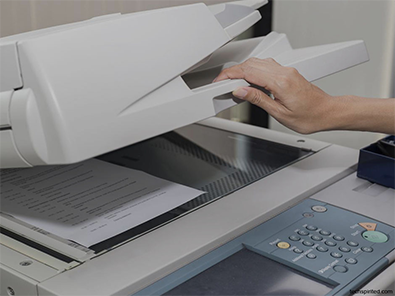 As a standard equipment in offices nowadays, any business must find a way to get a copier for daily operations even if it will mean a huge set back in capital. Worry no more however, because Clear Choice can solve this problem for you! Sign up for a leasing contract with us and in return, we’ll give you low cost and flexible payment arrangements! As a staple machine in the business, a functional copier is a must while a malfunctioning one, of course, would mean disaster! That is why it is essential to have a reliable repair team like Clear Choice’s to rescue your office when that happens! Our repair team is composed of well-trained professional technicians ready to respond any time you need them! If you’ve been leasing a copier machine for years and now have earned enough capital to buy your own, you must find a respected dealer to help you get the right machine for you! Call Clear Choice Technical to experience exceptional customer service aside from the lowest prices of copier you can ever find! We provide the same warranties and can even scout for the latest models in the market for you! But not only are these brands top rank; they are also few of the many brands currently offered by Clear Choice! Avail of the biggest discounts offered by these manufacturers to us all through out the year when you purchase from us! Did you know that aside from machines, Clear Choice is also authorized by top ranking brands to sell consumables and supplies? 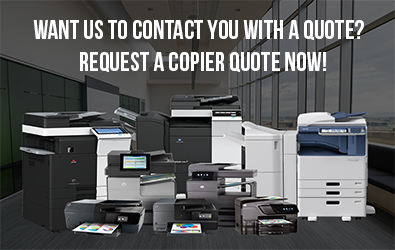 When you need quality ink, toners, copy papers, or even repair and replacement parts just give us a quick call and we’ll get them for you at a discount! Call us today for a free quote, our friendly representatives are waiting for you! Are you in need of a reliable printer but at a lost as to where to get the funds to buy one? Clear Choice Technical Service can help you lease for the mean time! We have the newest models of printer available for rent at a very low price and can already include maintenance agreements and easy upgrade! If you already have a printer, repair and maintenance to keep the printer working and in good condition must be one of your priorities! Entrust your printer issues to us and we will be the one to take care of it for you! Our team of excellent technicians will sure be prompt as ever and assist you whenever, wherever for any of your printer troubles! Choosing a wide-format printer to meet your business’s needs won’t be as difficult if you have experts such as Clear Choice to do the work for you! Let us help you wow your customers! We will scout for the lowest price of plotters for you and make sure that you get the newest machines that can deliver excellent images and quality prints! The machines we offer are up to date and brand new! At affordable prices and highly flexible terms, you can have these amazing machines available both for lease and for acquisition. For other brands, you can give us a quick call and our representatives will surely be glad to get you what you need! As for supplies and consumables such as plotter inks, print heads and maintenance cartridges, Clear Choice offers it all! As we are also authorized distributors for supplies, we can get you a huge amount of savings when you order directly from us! These huge savings can also apply to standard Plotter papers and paper rolls, and even original and OEM repair parts! If all of that haven’t convinced you yet, maybe a clear quote will! Dial (305) 203-0533 right now and get not only a best price guarantee but a quotation absolutely free!